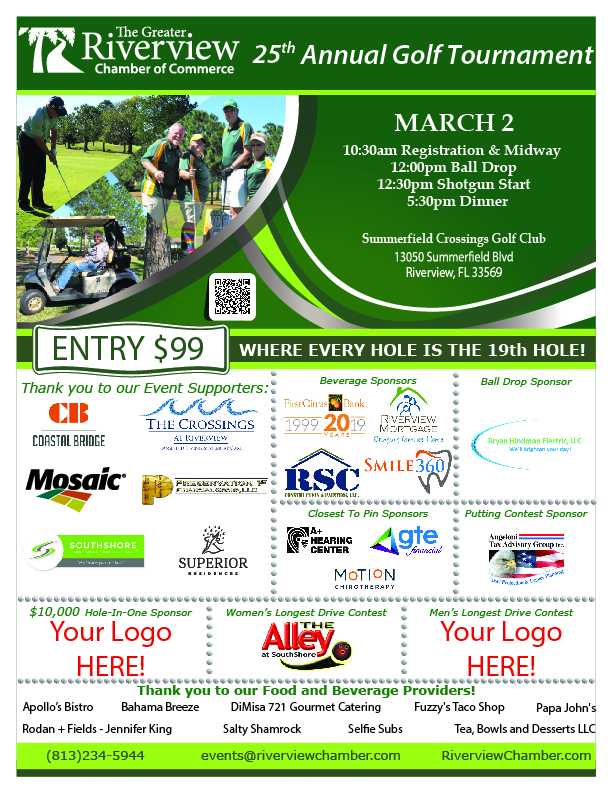 Join us as early as 10:30AM Saturday, March 2nd 2019 for the Greater Riverview Chamber of Commerce 25th Annual Golf Tournament at Summerfield Crossings Golf Club in Riverview! 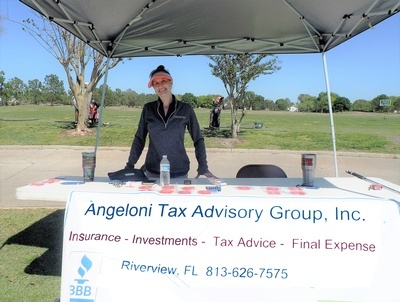 The midway of vendors, including food samples, located around the putting green area will be open to the public (golfers and non-golfers welcomed) from 10:30A to 12:30P. 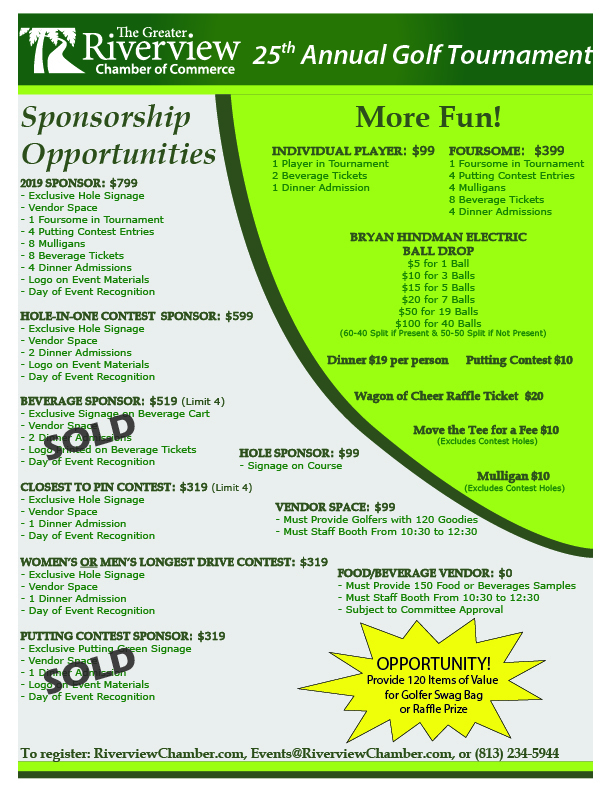 The Bryan Hindman Electric Ball Drop will take place at 12 noon. The person who purchases the ball that is the closest to the pin will receive 60% of the funds if present (or 50% if not present). Last year's winner took home over $1,000. After the Ball Drop, the tournament will have opening celebration with shotgun start at 12:30P. It will be a CHAMBER OF COMMERCE DAY! These festivies are open to the public. To purchase your chance to win BIG with the Ball Drop or to purchase Wagon of Cheer raffle ticket, click the REGISTER NOW button above. If you have questions, please contact the chamber office 813-234-5944 or email events@riverviewchamber.com.